I was sent this article, written by Mark Baker, an academic at Monash University (and family friend). Mark is alleged to have posted the article below on his facebook page. I received it by email and have never visited Mark’s facebook page. My reaction, over a few days, was that we had the mirror image of the boycott tactics used by Neturei Karta against the State except unlike Neturei Karta, this wasn’t about religion (Halacha doesn’t get a guernsey in Marks article). Rather it was the exasperated groans of a left-winger indelibly married to two “states”, even if one is effectively the mamzer Amalek. I interspersed his facebook commentary with my understanding of why some of Mark’s views are blind post-liberal, and left-wing economic terrorism. The tone sounds an awful lot like the failed rhetoric we hear from J-Street, Bernie “the shhh I’m a Yid” Sanders, American reform and the Tikun (sic.) Olamniks of this world. They stem from superimposing a left-leaning view of the world, into some plasticine-like Zionism (and Judaism) as opposed to the other way around. In the other way around, Zionism and Judaism are already defined. They react to the world. They do not metamorphose to become something else to fit into some world views. I will variegated Mark’s emotive outbursts with a critique of his post-liberalism. The rhetoric sounds like the extreme left views we hear from J-Street and Bernie “I’m not sure if my grandchildren will even be reconstructed cultural Jews” Sanders, feel-good American Reform clergy, and of course, the Tikun (sic) Olamniks of this world. I don’t mention the infamous Norman Finkelstein because Mark appears to be even more radical than Norman on BDS. Norman, one of many communist inventions of the Holocaust, actually opposes the very BDS that Mark claims he “quietly supports”. The left-leaning start with their vision of the Olam (world) which they conjure to appease an already morally corrupt world and then mould (sic) Judaism into having plasticine-like spinal characteristics that can be contorted any which way. My comments are interspersed and not in italics. The original article from Mark is in italics. This should not be understood as an ad hominem attack on Mark; I’m sure he believes what he says and he is no Norman Finkelstein anymore than I am a Dershowitz or Benny Morris. I was living in Israel in 1995 with my family. From our apartment, we could hear the crowds at Zion Square baying for Rabin’s blood, and holding up placards of the PM dressed as a Nazi and a terrorist. Bibi Netanyahu was standing on the balcony, whipping up a frenzy, which culminated in the assassination of Rabin. Long time ago! This description is mendacious. 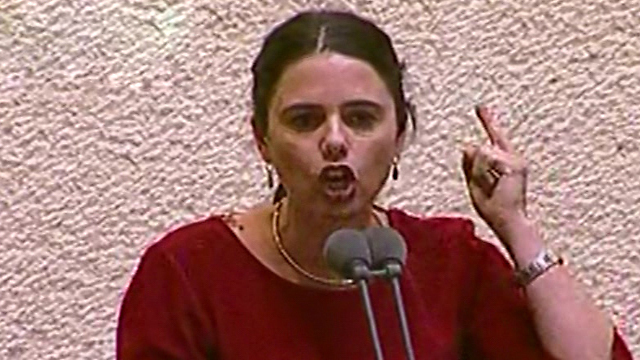 Both the left and the right engaged and engage in spirited demonstration, but implicitly opening with a remark that is designed to ascribe the assassination of Rabin to Bibi is confounding and offensive, while it is woven indirectly as a deflection. Clearly this imagery and its conclusion is out of context. It was designed to paint the entrance to the rest of the article. First, “Bibi is responsible for Rabin’s assassination”. Now we’ve got you hating him for that episode, let’s continue. Nothing has changed about Bibi in 22 years, except that he has stood at the helm of a government that has led the country literally into a dead-end. People who don’t change their views in the face of unchanged oppression and rejectionism should not be held to ridicule. Let’s see what else hasn’t changed in 22 years. Arafat hopelessly let his people down (apart from Mrs Arafat’s fat bank account and the years of siphoning money to his cronies and the 1 Billion spent on the 1st intifada, 1/2 of which was funded by Saudi Arabia, and the massive corruption, which makes James Packer’s gifts insignificant. Even now, it is a brave person who claims that Abbas actually distributes international money to non political causes. He had Rabin, not Bibi, and Arafat still couldn’t bring himself to sign on for a two-state solution! Wasn’t there a proposal for this in 1948 too and before that? Note: it was in Arafat’s hands; not Bibi’s. What do we learn from that? That Israel didn’t offer enough? Come now! Everyone knows that simply wasn’t true. Arafat wanted to live another day. Peace would have meant his savage opponents would lop his head off-ISIS style. In the end, I believe this is why Arafat didn’t sign. Mark, perhaps tell us why you think Arafat didn’t sign off? Was it because he was actually born in Cairo and didn’t think he had the authority. Goodness me. They still want ALL of Israel. Is anyone in any doubt? When push comes to shove, Arafat, Abbas, all of them, simply do not accept the concept that there is a distinctive JEWISH Homeland. Does Mark really believe they don’t want to push us into the sea? What does “the” occupation mean? Mahmoud “Holocaust denier” Abbas, calls the idea of a Jewish Homeland “Racist”. A Chutzpa. Let him try to live in Jordan where most of his DNA-brethren live and where his genome is found. Perhaps he’d like Saudi Arabia or Yemen; maybe Syria? Post-holocaust, especially, endangering Israeli sovereignty is not negotiable. Not 22 years ago, while Mark sat on balconies sipping coffee, and not now. Since most Arabs still don’t accept that reality, we are delusional if we think otherwise. Instead they engage in diplobabble. Mark, falling for this, is no different to someone who takes all of Trumps rhetoric seriously. They should seek to confederate with the Hashemites in Jordan, most of whom are their blood cousins. Why do you respect Jordan so much Mark? When does Monash’s library make a big deal of that tribe. Is the Palestinian in Jordan different somehow or are you as afraid of the Hashemites as they are. Call the historic truth, not some temporal Ottoman historical relic. Israel is probably at its strongest point (although it should have listened to Bennett in respect of the Hamas tunnel tactics and not Bibi. Certainly Mr Morality Ya’alon is now finished in politics for his clumsy left-wing handling of the mortal threat of death tunnels. One cannot talk about a two state solution! One must talk about a three state solution. When someone can make Abbas, Hamas, Saudi Arabia, Iran, Hizbollah, Da’esh and Turkey’s dictators kiss and make up, they can cut the number to consideration of two states. Don’t hold your breath. Make sure you have done a course on disentangling diplomatic babble before you fall for the type of nonsense, that Rabin and Clinton did. And yet, we don’t hear anything about “the right” of return. Is this deemed acceptable by Mark? Is he expecting Abbas to move back to Tzfat and vote in the municipal elections and avail himself of Kupat Cholim for his hemorrhoids? Maybe he wants not an international Jerusalem, but an international Israel where we pay jizya or become Dhimmis. (Who were the first to call for an “international Jerusalem”? Of course, it was the Pope. Study Xtianity and the chosen people and you will understand why they had to say that). Palestinian PhD students in Melbourne who I talk to, make it VERY clear. They don’t want a Palestinian state under Abbas. I was actually shocked. They say they want ONE state (not two). They say that Abbas and Hamas and the lot of them are corrupt criminals. They say they are happy to live along Israelis and Jews and vote in elections. Sorry guys, that’s not a Jewish Homeland. We aren’t stupid. I didn’t say that in response, of course. I just listened to their view. While he wasn’t the first to build settlements, he has deepened and permanently institutionalised the occupation, eroded Israeli democracy, continued to whip up racism against Arabs, propagated the myth that there is no peace deal to be made, turned Israel into a partisan issue in Congress and among Diaspora Jews, launched brutal wars that could have been avoided, created a diversionary campaign to fight the delegitimisation of Israel when he more than anyone has contributed to its delegitimisation, alienated Israel from world leaders by shunning international law, abused Holocaust memory by playing the victim card, exploited real threats in the region for his own political expediency, undermined the civil rights legacy of his own Likud party in exchange for a fascist impulse; created a settler state and given free rein to Jewish thuggery; and worst of all, he has paid lip-service to the two-state solution while creating a one-state reality, leading Israel (as warned by every PM before him) down the path of apartheid. Now that’s a looong expectorating sentence, even if interspersed by stray semi colons. Lets take the allegations one by one so they can be swallowed slowly. Bibi wasn’t the first to build a “settlement”. I guess that’s a feather in Bibi’s cap. Indeed, tell us please what a settlement is. Is Efrat a settlement or are you upset only about 10-20 families in caravans on a hill-top? I trust you boycott Rabbi Riskin as well as Gush Etzyon. He’s here now. Go and demonstrate against him? Define your terms. I believe 2-3% of land is taken up by “settlements”. 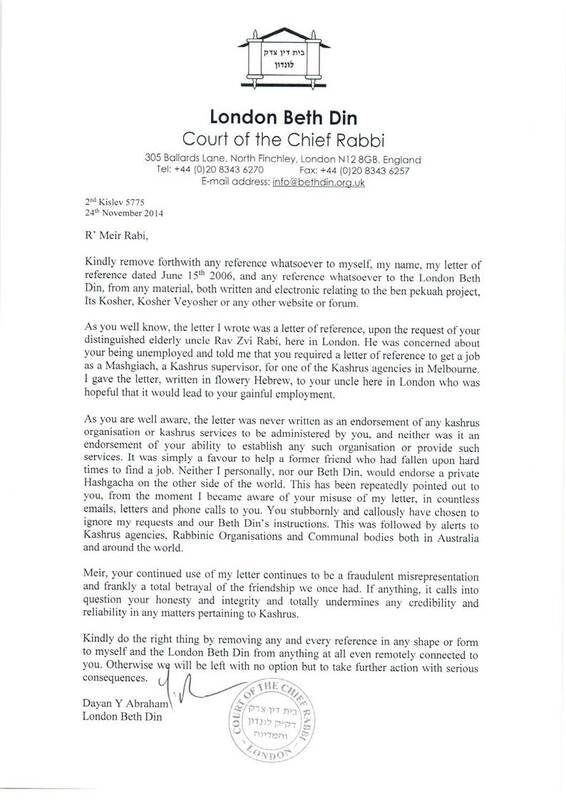 Are you going to tell Rabbi Riskin to pack up and go back to Lincoln Square because Arabs listened to their mufti in 1948 during a war? “The occupation”? I’m sorry, it’s disputed land. You live in an occupation. This is Aboriginal land. Have you bought it from them? I don’t know which of your teachers failed to teach you that Jews are the closest thing to indigenous natives, and Palestine is a recently promoted modern term used to confuse the neurone-deprived UN. Warren Mundine knows it. Why doesn’t Mark Baker? How is Israeli democracy eroded? Have people gotten into power unelected? Perhaps Trumps victory has you so upset that you’ve forgotten he was democratically elected. Maybe you want a new J-Street constitution? Where does Bibi whip-up racism against Arabs! He’s been hobnobbing with Sunni Arabs who are all too eager to join him and not face the brutal Shiite regime of Iran and its satellite terrorist puppets. Perhaps if God forbid one of their rockets hit your balcony in the 90’s you would have a more sober view of them. I know: Sunni, Shiite, what’s the difference, they are all fine people, full of democracy and tolerance. Did you know Iran is building underground factories for Hezbollah. You think Hezbollah care about Palestinian Arabs or Lebanon? The only thing that unites these people is hatred for YOU, yes you Mark Baker. Go back and look at the beheadings from ISIS. Do you think these savages would spare you? “Launched brutal wars?” What newspapers were you reading Mark, the Anarchist nonsense given out near Melbourne University or the Trade Union? Did you forget what the D in IDF stands for? That is the motive behind every interlocution. Oh, and don’t forget to read how the soft and fuzzy democrat Ya’alon and his mate Gantz let Israel down with their dismissal of the Hamas Tunnels. Would you ask them to resign. The report is out. Only Bennett comes out looking normal. You won’t enjoy reading how it placed Israelis in grave danger. “Abused Holocaust memory by playing the victim card.” Nobody is playing cards Mark. Did you borrow this line from Finkelstein? His parents were communists. Yours aren’t. This is for real, just like the Holocaust. How many times do you need “we will drive them into the sea repeated to you? Don’t you watch memri.org or is that also just a load of baloney? Guess what? Holocaust survivors like your parents Mark, actually like Bibi and support Jewish strength; not the pathetic ‘my grandchildren will never be Jews, Bernie Sanders nebachs’, and the libertarian, egalitarian Diaspora pontificators. You’ve chosen to only focus on the political machinations in the Likud. You think that the Labour party or the Mapai or the Mapam would stop at any political method to keep power? I have no doubt your new darling is Yair Lapid. Why? Because the left-wing is so morally bankrupt, even left wingers don’t take them seriously. Only Shimon Peres could get some attention with his one liners, but we know his part in Oslo. That wasn’t about power either, was it? He was as power drunk as the next politician. Jealous of Rabin? Alienated leaders? Oh spare me. Is Obama now your love child? Obama will go down as one of the most useless Presidents that existed. Yes, a nice fellow, smart, and great orator, but anyone who can stand and watch 450,000 Syrian casualties (those who do need Tikun Olam) and the best Obama can do in response is send the odd drone, smells morally corrupt and makes Obama a gutless wonder: take your pick. Oh, did you notice how the Africans are now lining up. Perhaps Mark you’d be more impressed if that English anti-Semite Corbyn or the genius Richard Gere was “happy” with Israel. What is a settler state? Define your terms. Stop with hyperbole. Maybe you mean the Charedim of Betar? Oh, we better not mention Betar. It’s a Jewish place, after all, and the Charedim are iconic “settlers”! I think it’s four minutes to cross Israel by plane. I imagine your microwave achieves more in less time, Mark. Free reign to Jewish Thuggery. I am a scientist. Perhaps you will quote some figures for us. Let’s go with statistics. You know you are wrong, and that’s even if the soldier who shot the dying terrorist was pardoned. Ask your acquaintance Zev Slonim why Zev’s son was held in prison without representation and democratic rights. He’s a right-winger. I thought Bibi only did that to lefties. Think again. Was that a ruse? Apartheid. Let’s see. I didn’t see it in Jerusalem. Did you see it while you were watching with your family on the porch, as you stated or while walking down Mamila? You obviously have a better understanding of how to defend ISRAELI cities and civilians from thugs, terrorists and murderers. Those who live their lives peacefully do so and nobody is bothered by them. There are plenty of Palestinian settlements (and Jewish ones) that are peaceful. He is a liar like Trump, who will speak in Australia tonight by using his oratory skills to trade in fear, eternal victimhood, and despair – while claiming the high-moral ground that Israel is a beacon of light unto the world. He will go down in history as having unleashed the dark demons of hyper-nationalism that will kill the Zionist dream. I can see exactly what Trump and Bibi are doing. I’m surprised you can’t. Either Abbas will come to the party (he’s gutless so forget that) or the status quo will continue. The Palestinians will have their own Arab global warming. They will fight: Fatah and Hamas and Dahlan and say “enough is enough” we don’t hate Jews like you’ve taught us. It is not the anti-Zionists who should be shunning him, but those who care deeply about Israel and its future. Those who care deeply about Israel can support Bibi whole heartedly unless he is found guilty of breaching ministerial standards. Why is the implication that only a Zionist lefty is a true Zionist. Now, that’s apartheid and bias. That’s the killing of democracy. There is nothing, absolutely nothing, about a “two state” solution. That arose in 1948 and was rejected by Hitler’s Mufti. Nothing has changed for the better, it’s only become worse. Can I suggest concentrating on supporting the indigenous people of Australia? That’s where you and I live. Maybe we should give back their land, and their right of return (as Jews deserve in Israel). Leave the defence of Israel and its decision-making to those who put their lives on the line–not me, nor you. We are just pontificating, opinion-bearing people. We are irrelevant. Hey Mark, watch this video. Give me a mark out of 10 for the pathetic apologist. But none of this is as expressive as your mentor, Mark, the venerable David Ben Gurion. Watch him here. If he heard you admit that you boycotted Israel “quietly” I suggest he’d call you a fool. As to why you continue to be funded through the community at Monash. That’s a mystery to me and I call on the community to redirect their money away from extreme left wingers. Mark, what do you have to say about the difference between Ben Gurion and Bibi as per this video? Perhaps, Mark, it’s time you stopped pretending and joined Noam Chomsky as a fully fledged egalitarian member of the Jewish Community where the notion of identity is erased, as per a communist manifesto and has little hope of surviving the next century. PS. Anyone whose Hebrew isn’t good enough to understand Ben Gurion’s interview above MUST find someone to translate it to them. He didn’t sit on balconies sipping coffee. This is from the Algemeiner. McGill is probably too fair for the New Israel Fund, and Israel’s bleeding left wing. She came out publicly in the Guardian against the BDS. Perhaps most interesting is the list of people who HAVE put themselves on the record in the British Guardian Newspaper as supporting the BDS. What I found fascinating is that they all seem to be tree hugging writers, artists, film makers,poets, directors. There seem to be few if any scientists or people with that bent of mind. What does that tell you? Here they are. JK Rowling signed onto this group. I don’t know whether the JCCV or ZFA or Mizrachi consider him as bad as Moshe Feiglin, but I’d hope that anyone and everyone boycott this person. He was listed in a letter to the Guardian supporting the boycotting of Israeli goods from Yehuda and Shomron (otherwise known as the BDS campaign). I had never heard of him but this is what wikipedia tells us although wikipedia notes it contains information from someone close to Sivan. Maybe he self-promoted himself?